Looking for a special way to celebrate your child's birthday? Our teacher Josie will come to your venue of choice to do a personalized music program. The birthday party program is appropriate for children ages 1-5. Parties are especially great for groups of mixed ages. It is a wonderful way to pull the party together by combining singing, dancing, rhythm instruments and of course a finale of "Happy Birthday." The musical party is 40 - 45 minutes and can be tailored to include your family's favorite Music Together® songs. 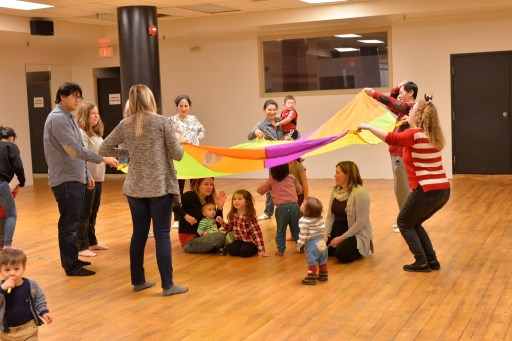 Parties are for up to 14 children and parents are encouraged to participate with their children to make them feel comfortable and also have a great time!